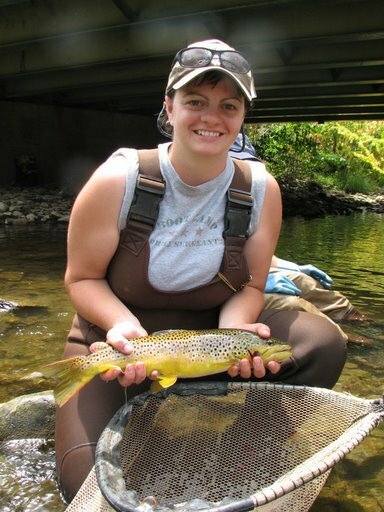 If you are working to protect or restore the clean, cold, free-flowing streams that support brook trout and other sensitive species, you can apply for a “Cold Water Heritage Fisheries” grant. Runaway development in parts of Pennsylvania threatens these sensitive environments, their rare wildlife and the family activities that depend on them. Concerned about the trend, the Pennsylvania Department of Conservation and Natural Resources has encouraged and offered financial support, in partnership with Pennsylvania Trout Unlimited and Foundation for Pennsylvania Watersheds, to communities to plan ahead and identify opportunities to balance growth and the need to protect nature. But there’s a catch — local communities must match the state money with private funds. That’s where the Foundation steps in. Trout Unlimited chapters, watershed associations, and other citizen groups can apply for grants from the Foundation to match state funds and bring local leaders together to work together, plan ahead, and protect something important for future generations of community residents. Interested in learning more about this Program Area and the work it accomplishes? Click here.